LANGUAGE ARTS - "75 Games & Activities for Teaching the Six Syllable Types of Reading"
LANGUAGE ARTS - "Closed Syllable Bundle Packet"
LANGUAGE ARTS - "A Mega Bundle Packet of Reading Syllable Type Word Lists and Games/Activities"
LANGAUGE ARTS - 'Play Uno Bundle Packet"
LANGUAGE ARTS - "10 r-Controlled Activities & Games"
LANGUAGE ARTS - "Scooping Words With One Closed Syllable & One Vowel-Consonant-e Syllable"
St. Patrick's Day: Motivating students to reading for meaning ~ with humor! FREE WORKSHEET: Subordinating Conjunctions Cheat Sheet for Dependent Clauses! St. Patrick's Day: LUCKY you! It's Almost Spring Break! FREE MISC. Lesson - "Leap Day Birthday Certificates"
Teach Your Students This Gerund "Trick"! LANGUAGE ARTS - "Reading Vowel Digraphs & Diphthongs Bundle Packet"
LANGAUGE ARTS - "Reading Closed Syllable Bundle Packet"
LANGUAGE ARTS - "Reading Final Stable Syllables"
LANGUAGE ARTS - "Play Uno Bundle Packet"
LANGUAGE ARTS - "10r-Controlled Activities & Games"
Valentine's Day Activity Packet! Wordsearch, Crossword, Fill-in-the-Blank "Wacky Words!" Valentine's Day Activity: Word Search! Read and Write and DIFFERENTIATE by printing - for Valentine's Day! LANGUAGE ARTS - "8 Sight Word (Pre-primer) Booklets"
LANGAUGE ARTS - "Reading Final Stable Syllables"
LANGAUGE ARTS - "10 r-Controlled Activities & Games"
English Language Arts - Everything is on Sale! LANGAUGE ARTS - "5 Sight Word Games"
Language Arts - "10 r - Controlled Activities & Games"
FREE SCIENCE LESSON - Layers of the Earth! Free Language Arts Lesson - "New Years 2016"
LANGUAGE ARTS - "Playing Uno with Syllable Type"Reading Bundle Packet"
No-prep printables - Reading and Writing for Christmas! MISC LESSON: "Check out our Holiday Crafts"
MISC LESSON: "New Year's Resolution Flip Book"
FREE: Math lesson "Multiplication Freebie"
SCIENCE LESSON - "Force and Motion"
FREE SCIENCE LESSON - "Plants!" Counting by 2s, phrasing, fluency and quotation marks with REINDEER! FREE LESSON - "Social Studies Causation Cards"
MATH - "Math Workshop Can Work For YOU!" FREE MATH LESSON - "Multiplication Strategies Mobile and More!" Third Grade Common Core Math Assessments - All Common Core Math Standards! THREE $100 GIVEAWAYS of Teachers Pay Teachers Gift Certificates! Math Lesson - "Common Core Assessments - All 3rd Grade Math Standards!" FREE MATH LESSON - Order of Operations! 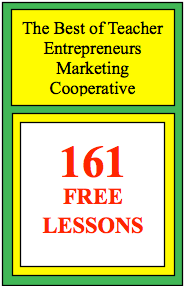 for even more free lessons!